Disneyland is The Happiest (and secret-est?) Place on Earth -- that much is fact. Also fact? Some of the rides are better than others. You've debated their merits back and forth forever (or, for at least as long as you've been waiting to get on Space Mountain), but there's never been a definitive ranking. Until now. This is it: everything that moves at Disneyland, ranked. "But," you just said, "Finding Nemo is a great movie, and there's no WAY this can be worse than Astro Orbiter, and anyways, isn't this actually that submarine ride I loved as a kid?" Yeah, it is, but when you were a kid you didn't realize that later you'd be waiting in line for an hour just to hit your head on the roof of an overcrowded "submarine" that moves at .001mph and has no air circulation so you can LITERALLY FEEL YOURSELF GETTING SICK FROM KID GERMS WHILE LOOKING AT RIDICULOUS VIDEOS OF FISH. No. Just no. See above, except this time you get to ride through a whale's mouth at one point. The only thing this ride is good for is reminding you how much you wish there weren't other cars on the road, ever. 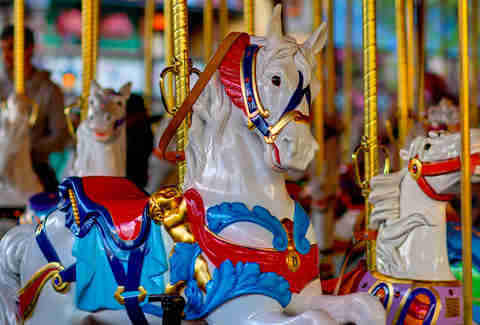 Have you ever heard your Grandparents reminisce about how the point of a carrousel once was to grab some sort of brass ring? This one never even had that as motivation. For twenty minutes or so, "Mark Twain" narrates about the American West, and you can gaze at... beavers. And some other stuff. A truly colossal waste of time. 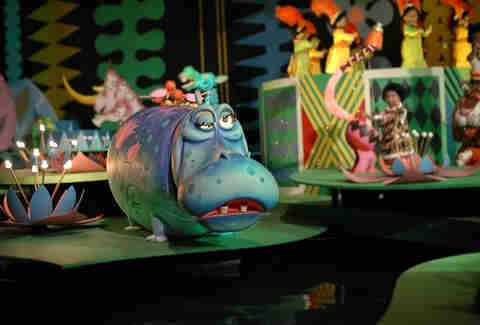 It's impossible to visit Disneyland without also going on Small World, which is a shame, because your next few months will be spent with the song repeating endlessly in your head. The only upside? 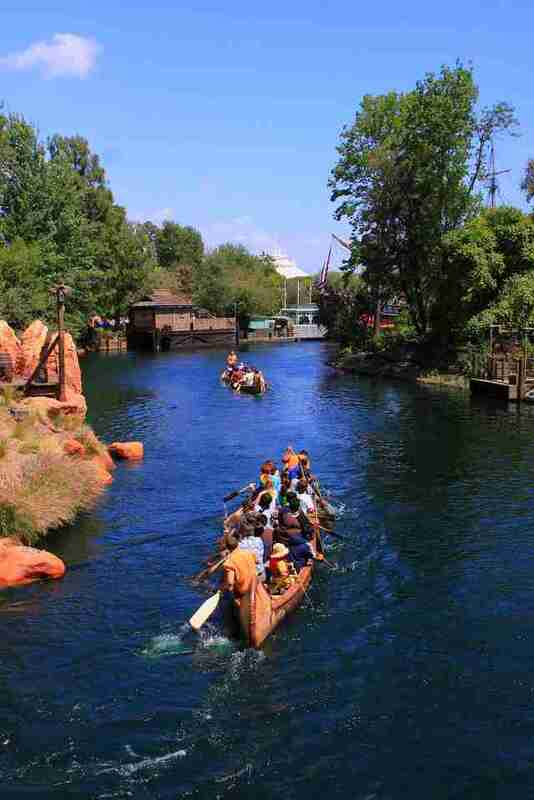 The water on the ride makes the temperature inside actually bearable on a hot day. Points for actual usefulness in getting around the park. Points for literally nothing else, though. Because knee contusions are fun. Just like the Astro Orbiter, except it was here first, so it gets just a few bonus points for being an OG. 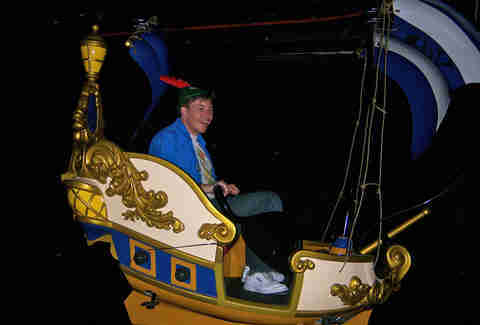 This ride should be renamed "Snow White Isn't Really in This Ride, It's Mostly About the Evil Queen... Scary Adventures." The line for this old-school ride is soooooooooooooo Goddamn long, probably because of the one almost-worth-it room where it actually looks like you're flying. Key emphasis on "almost." In case you forgot the story that inspired it, this ride involves kidnapping, hustler-billiards, caged animals, and being eaten by a whale. The scariest part, though? The characters' mouths don't move when they talk. Nope! Points for there always being one guy who loses his paddle. Super-negative points for never-ever being open. If you're, uh, "super-enjoying-your-day", you may want to avoid this darker-than-you'd-think dreamscape of honey, donkeys, and more honey. And Piglet. And honey. This beginner's roller coaster in Toontown is over before you know it, but at least it gets your adrenaline pumping for, like, four seconds. 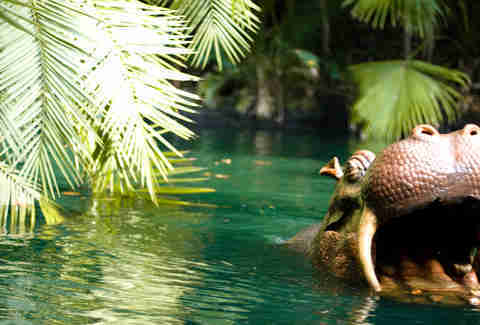 The Jungle Cruise has a lot going for it: lifelike rhinos, a guide with a gun, a lazy-river type of feel. Thing is, it also has sort-of-uncomfortable-to-discuss headhunter savages. On the fence. "But," you just said in your brain (or out loud if you're weird), "what about the secret basketball court? What about the Abominable Snowman? Shouldn't this ride be much higher on the list?" No, it shouldn't: it's uncomfortable, it's too short, and it's not nearly as scary as you remember it being. That nostalgia? Your parents put it there, 'cause when they were your age, it was the best thing in the park. No more, mom. No more. Not only is this excessively trippy ride extra-long, but it has this moment where you go from inside to outside and can see the line of suckers standing outside the Matterhorn. Meanwhile, you're riding a caterpillar. Aboosh. VOMIT! AND VOMIT! AND VOMIT! AND VOMIT! 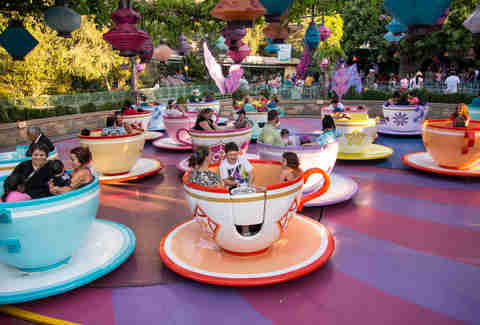 Man, the tea cups are so fun. LIKE THE TEA PARTY PLUS ANIMATRONICS. AND VOMIT! One of two rides in the park whose placement in this list is determined by wait time (see below for the other). Thanks to the Depp movies, "Pirates" has become a stone-cold classic, but if you're stuck in line for hours, the pomp and circumstance can seem a little overblown. On days where that wait is only 10 minutes or so, you'll hit it a second time: the fire effects are still pretty good, and "Yo Ho Yo Ho A Pirate's Life For Me" is among the least-annoying of the super-annoying Disney sing-a-longs. This ultra-classic roller coaster still has enough twists and turns to be a must-ride every time, though the novelty of sort of getting splashed while riding by the faux dinosaur skeleton definitely wears out with time. 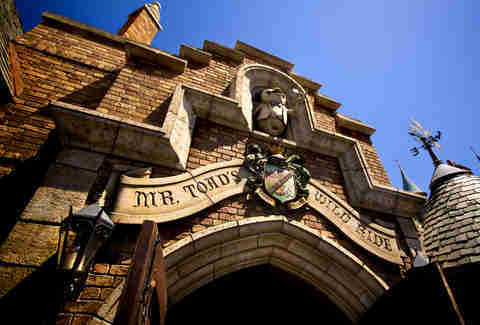 The longevity of the Mr. Toad ride is something of a mystery... does anyone know what book or movie or TV show this weirdo ride was actually based on? Was it The Wind in the Willows?? 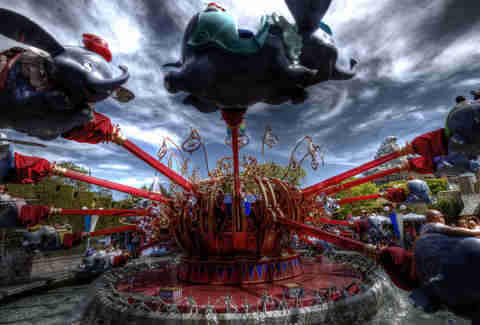 I dunno, but it's irrelevant: this is ostensibly a kids ride, but ends with you IN HELL. Total win. Whoever came up with the idea of merging a shooting game with an amusement park ride is The Best Person who has ever come up with something. 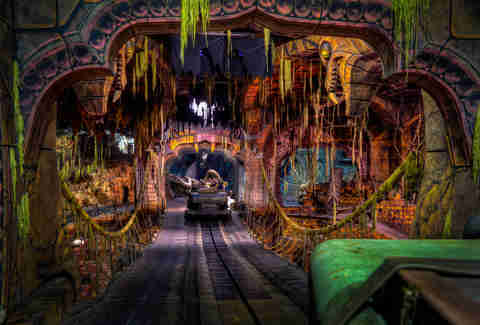 Though it's not as great as the 3-D Toy Story Midtown Mania ride at California Adventure, it still gets major points for thinking way, way outside the traditional ride box. 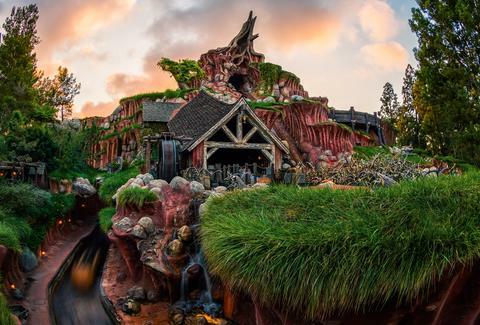 Recently, my log got stuck in the middle section of Splash Mountain, after the first little mini flume, after things get dark, and when all the characters are cackling. And cackling. And cackling. And cackling. And cackling. 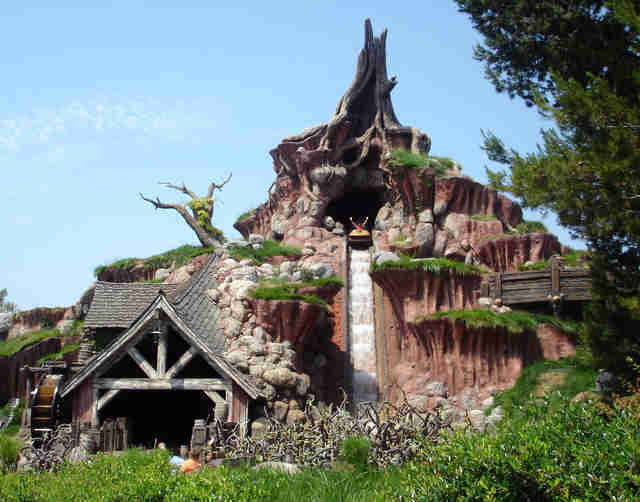 We were eventually escorted off the ride, which was cool in and of itself because did you know there's a hidden stairway at the back of Splash Mountain for if it gets stuck when everyone's cackling? I didn't. Also that final flume is awesome. You probably expected Space Mountain to be first, 'cause everything about it is great, right? The way the train shoots up that first climb, the surf-rock music playing in your ears, the virtual near-miss with another train once you're in the tracks? Yes, all those things are great. What's not great is the line, and the fact that Space Mountain ALWAYS BREAKS DOWN RIGHT BEFORE YOU'RE ABOUT TO GET ON IT. Always. Al. Ways. "There's no way that this dude is saying the Haunted Mansion is the second best ride at Disneyland," you whispered softly to your computer just now. 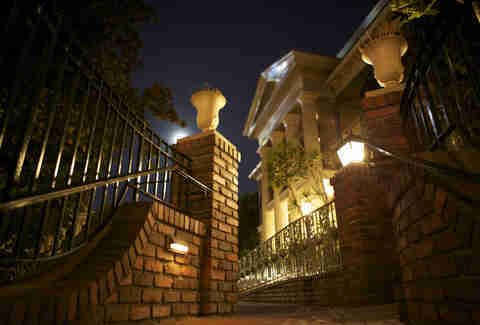 And you'd be wrong, because the Haunted Mansion has every single thing that makes a Disney ride stand apart from rides at every other amusement park: silly character animatronics, singalong songs, THAT ELEVATOR, an overarching air of spookiness, and a how'd-they-do-that sense of wonderment (seriously, how'd they put that ghost RIGHT IN THE CAR WITH US?!??!). Also, if you go between Halloween and Christmas, the whole thing is Jack Skellington-themed, and it just next-levels all of it. Go ahead and try to argue this. DO IT. See? 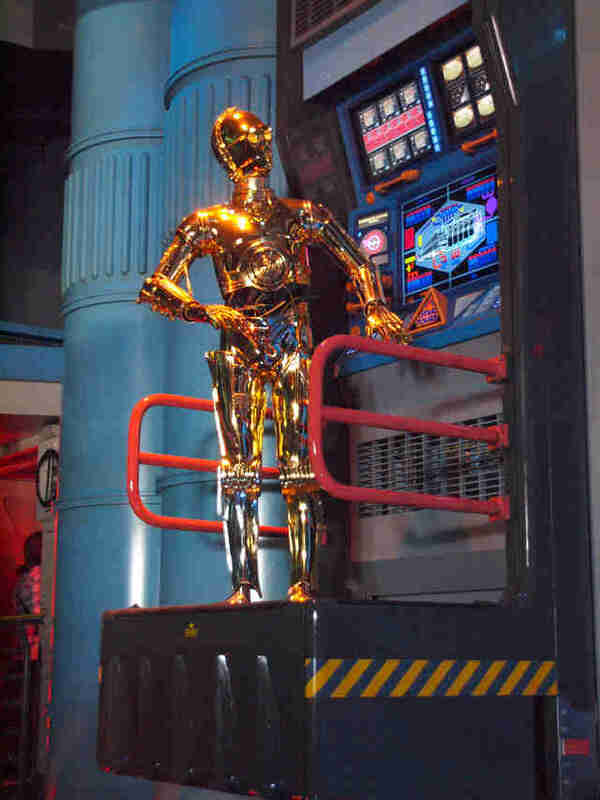 You can't: there's no better ride at Disneyland than the updated Star Tours, which is different every single time you ride it, yet consistently has enough thrills to keep you coming back regardless. The wait is manageable, thanks to a smart, fun queue that brings back characters from the movies and has Easter eggs built into it, and, duh, it's based on STAR WARS. 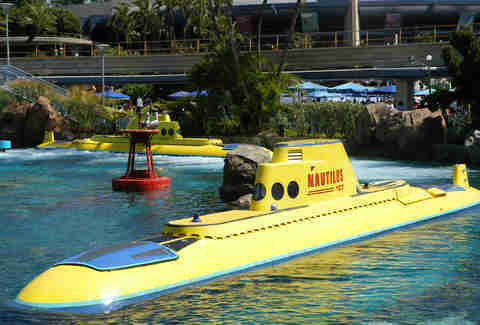 There is no better ride at Disneyland. Fact. Jeff Miller likes it best when you end up podracing with C-3PO as your pilot. Argue with him on Twitter at @ThrillistLA and on Instagram at @jeffmillerla.